When does Origen play? It turns out, quite soon. 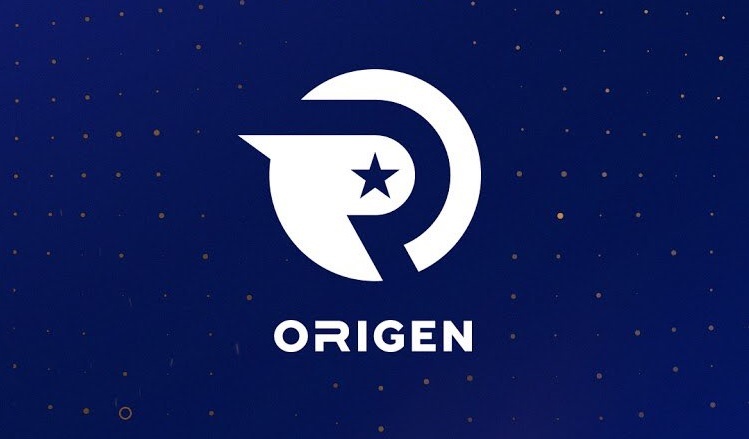 Origen have made it into the LEC (formerly the EU LCS) and are headed by REFRSH, parent company of Astralis. Astralis is currently only in one esport, CS:GO, but the parent company has expanded with the help of Origen owner Enrique "xPeke" Cedeño Martínez. Xpeke previously had competed as a professional player, most notably for Fnatic before creating his own team and making it to the semifinals of the World Championship in 2015. Origen would later get relegated in 2017, unable to compete in the Summer Split of that year. Now Xpeke is back, with more infrastructure and without the weight of both playing and managing the brand at the same time. Esports Heaven spoke with Xpeke to get his thoughts on Astralis’ roster philosophy, toxic players, age in esports, roleswapping and adapting to the meta. Astralis is considered the best team in CS:GO right now, but they don’t have a crazy roster run on star power like FaZe Clan for instance. Is this a general philosophy of Astralis and will this type of approach be used for Origen when it comes to building a roster and not just purchasing star power? Well, what happened in Astralis and the company that owns Astralis, REFRSH, they wanted to do something different. They tried it out with Astralis and included a performance team and kind of train players differently. Normally you put players together and have them play, but the way it works here, they believe in helping the players outside the game and preparing them for the pressure and the tournament. I think that’s the same approach we’re going to take with Origen. We started the bootcamp without the guys playing at all until the 3rd day. The first days were about team bonding and having talks with the sports psychologists and setting some goals and ideas they all have, kind of building up the team that way to prepare them for the problems when they come. It’s much better for them to get to know each other and see each other as people, so when they have problems, they known how to help each other instead of destroying each other. I think that’s worked really well for Astralis and will hopefully work really well for Origen. What are your thoughts on picking up players that are perceived as toxic or difficult to work with? I say this because you picked players like Nukeduck and Mithy who were previously thought of as toxic a long time ago and it’s been a while since their bans, so it’s not really relevant in their case, but what are your general thoughts on orgs picking up players perceived as difficult to work with? Is it a big risk to brands and orgs? I think there’s definitely some risk in picking up players that could be toxic. For example, we did interviews with players to see how they act and behave. One thing is, how they act in solo queue and another is how they truly act. It’s never acceptable for a player to insult someone and use racism or sexism, but for example, Mithy and Nukeduck, they made some mistakes in the past and they got banned for that but the first time I talked with Mithy when he was in Origen before, I made it very clear to him that he couldn’t behave like that. He was the one to tell me he learned his lesson. He lost almost two years wasted because of what he did and I think that taught him a lesson, and it’s the same with Nukeduck. These guys are really conscious about respecting other people because they are an icon for other players, people look up to them, so they can’t go around saying bad things. It’s not good for them, it’s not good for the org, and it’s not good for anyone. I think a lot of players are learning more and it’s true that whenever we look at a new player, the first thing we ask is about how they act in solo queue. Is he toxic? Is he the kind of guy that flames? Flaming isn’t a big deal because you can fix that, but if it’s someone who is going to be racist or say really bad things, then we will probably not pick that guy up. Speaking of Mithy, many might have been surprised to see him under the Origen brand again. What makes him valuable to your team? Mithy was always of great value, not only for what he brings to the game but what he brings to the team. He was a player that was motivated, I mean, I already knew it the first time I contacted him. I knew this guy could bring a lot, he’s hungry to win. He’s the guy that will stay longer to watch more replays. He’s the guy that will talk to his teammate and ask, “Why don’t we play like this”? He’s bringing way more than you see in the game. Outside of the game, he’s trying to help everyone improve and he’s always ready to work, so it kind of forces everyone to see that he’s working hard and puts you on the spot since you see someone else doing more than you. I know he’s motivated right now and he will improve a lot and for people that say he played poorly last year, I think he’ll shut mouths this year. We have players like Mithy, Nukeduck and sOAZ that are older. It seems they have no intention of stopping their professional career. You stopped playing though. What’s your opinion of player age getting in the way of esports? The main problem here is burnout. In other sports, you practice your six hours and your body tells you to stop and then you need to recover. With video games you can just play. Your brain doesn’t tell you how you physically feel. You start to feel bad once the problem is too big. This happens to a lot of players that they get burned out from the game and they don’t realize it. They keep playing and playing and at some point they have a mental breakdown and don’t want to play anymore. That’s something similar that happened to me. I had a lot on my plate. I had to manage Origen, I was a player and I had to do all the business stuff as well. It came to a point where I got burned out, not from the game, but from everything else. If you’re playing and in-between games you’re constantly thinking about emails, what you have to reply to, what you have to play in the next game, then everyday waking and sleeping in that state, it becomes too much. I think what happened to me was I really needed a break from the game and I don’t think, for example, if I play right now, I don’t have worse reflexes, and obviously I’ll be worse since I haven’t recently logged many hours, but I really think you can keep playing until you’re 25-30 years old, depending on each person of course. If you’re a talented person and you keep practicing and you enjoy playing that much, you can make it to 30 years old. There have been some pro players in other games that have made it to 30 years old. Recently we’ve heard news that Perkz is roleswapping from mid to ADC. As you previously had done this yourself, I figured you can give good insight on this. So, what are your opinions on roleswapping? Do you recommend it to pro players? I think roleswapping can be good for everyone to try, not necessarily a thing you should do, but it’s good if you try to play other roles because it will make you understand how they are supposed to play, what they can do, because when you’re stuck in your role, you know what they’re doing, but you don’t always know why. I think trying once in a while is beneficial, but when it comes to fully roleswapping, I think it can be good for many reasons. One of them is, if you need a change, like if you’re tired of playing mid lane, like Perkz for example, and you decide suddenly you’re playing ADC and having so much fun, it’s like, “oh, I can play more many hours, still like it and want to play more as an ADC than a mid laner”. I think you can consider it at that point, if you feel like you’re good, go for it. For me it was a bit different because it was to fill in a spot because we didn’t have a shotcaller in the team. So, we decided to put me in mid and ADC sometimes. So, in my case it was out of necessity rather than something I wanted to do. Season 8 had some of the biggest meta changes we’ve ever seen. How does Origen plan to stay competitive, regardless of meta changes? We’re going to put in a lot of practice and study everything. We cannot control the meta, it always happens right? You’re good in one meta, but it doesn’t necessarily mean you’re going to be good in another meta. The idea we have is that we’re going to try and become the best we can in the established meta and when something comes out, at least try it. If we’re not good, at least try it and know how it works and then decide what’s better. Is this meta really OP and we have to follow it? Or is this something we can ignore and keep playing our game and we’ll be fine? So I think that might be the approach, to try everything, see what works and then go from there. You will be part of the group of owners that will be able to meet with Riot to discuss the direction of the LEC. What owners are you most looking forward to collaborate and learn from and what are you expecting from being able to finally meet Riot and participate in the discussions about the direction LEC is headed towards? It will be really cool to meet all the owners because I know the vast majority of them and it will be nice to see them again, especially to see how the flow is now. Before it used to be very different. We used to have a chat, get to know each other, but now it feels good if we have the chance to talk about things that will actually go through and improve the league. I think that’s what I’m more excited about, the potential partnerships with someone or trying to make something funny happen like content, all these kinds of things are always a plus. Is there anything else you would like to say before we head into Season 9?